My last vegan cruise post featured a number of specialist sailings. These were either charter cruises, sold exclusively as a vegan sailing with no non-vegan dining onboard. The majority, however, are large vegan events on ships with their own vegan catering arrangements and social events fitted around the general sailing. But what if these few specialist sailings just don’t work for you and for your schedule. Maybe you holiday with an omni friend/partner and family who wouldn’t do a vegan cruise. You may fancy a sailing to a destination that isn’t visited by these specialist vegan cruise sailings. 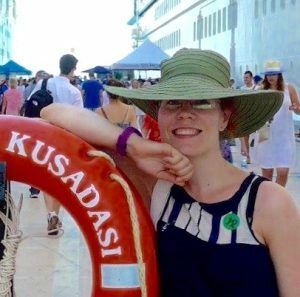 So can you cruise as a vegan on a regular, standard sailing of a cruise ship? Would they be vegan-friendly? Yes, they can be. Let me tell you. In the last 18 months, I have sailed on 4 ‘regular’ cruises as a vegan and have done some research into options on other cruise lines. Let me start with those I have yet to try, but am determined to sail with soon. UK has become increasingly vegan-friendly in the short time I have been vegan. As a potential customer, I am impressed by P&O. They are one of the rare few cruise lines that acknowledge vegan diet on their website. They also offer a range of dairy milk alternatives, not just soy. Dining options onboard Britannia has even included seitan and tempeh! There isn’t an official vegan menu for them online, but maybe there is one used behind the scenes? That would explain such impressive vegan main courses with great alternative protein sources. Not just tofu! See Married.And.Vegan Instagram for their P&O cruise dining photos such as the aforementioned seitan dinner. Here are more photos of vegan dining options from another UK vegan blogger. Spot the vegan Vbites bacon and vegan sausages! I’m impressed and certainly now have P&O on my sail wish list. Popular UK vegan food blogger VeganOlive1 is also a long-time vegan cruiser on P&O and has several reviews from her cruises and photos of the food the main dining room has made for her. Not only is she vegan, but has other allergies and P&O have catered for her. P&O website even has a list of vegan wines they serve onboard (another first among cruise lines) though it has been pointed out to me, that there are more wines onboard that were suitable for vegans – so a pleasant surprise to find more choice onboard. 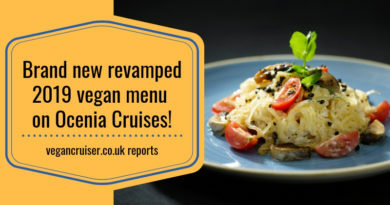 Oceania is the premium brand of Norwegian Cruise Line and this May they sent out a fabulous press release about a brand new vegan menu onboard. Not just healthy food. They had me at vanilla waffles, chocolate vegan ricotta pie and strawberry sable. The raw juices and smoothies are good too, surely. Even if just to offset the calorie laden vegan desserts. HAL are another cruise line I am looking forward to trying. 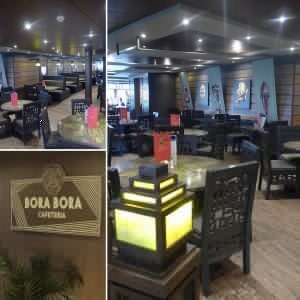 They are another Carnival-owned company and offer a separate, official vegetarian menu which has vegan options clearly highlighted. 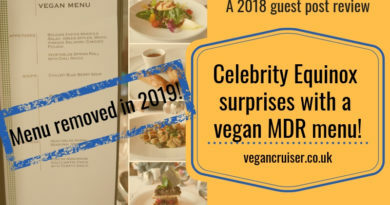 Much like on most other cruise lines who improvise or amend regular dinner menu courses to suit vegan diet, you need to pre-order items from this menu. Still, it is great to have a cruise line that acknowledges vegan customers with a menu. Princess are another Carnival Corporation brand and the American cousin to UK’s P&O. They cater for both US and international market, offering sailings all over the world on a much larger fleet of ships. For those who follow me on Instagram will have seen photos of our three to five-course dinners from last August’s Mediterranean cruise. We were catered for with much more care and finer dining than before – though disappointingly we had to take our own vegetable spread as Princess offers no dairy-free spread. (Neither do Royal Caribbean, either). I had been in touch with Princess’ customer service team prior to the sailing to request vegan meals & plant milk for the length of our cruise. They responded stating that only vegetarian diet was offered onboard. I knew not to worry, though. I already knew Princess to be vegan-friendly, as I had found a number of posts by Canadian travel bloggers Justin&Lauren, about their Princess cruises and vegan options onboard. Indeed MrVegancruiser and I were well catered for by the allergy/dietary kitchen team that we would not hesitate to sail with Princess again. Plus, on the two ship visits to Caribbean Princess (2016 pre-refurb and 2017 after refurbishment), I found plenty of vegan options in the buffet restaurant. Also, we were able to take our own vegan wine onboard last summer, more than the usual 2 bottles per two adults allowed by most cruise lines. Princess are generous and allow extra wine & champagne to be brought onboard for corkage charge of 15USD per bottle. 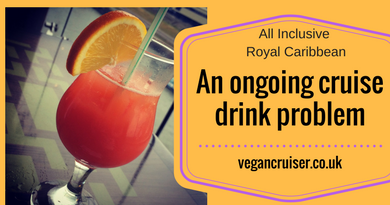 I have sailed twice on Royal Caribbean and much like Princess, their website does not mention vegan diet but you will find dining options onboard. Just as with Princess, the main dining room staff will liaise with you to adapt existing vegetarian menu items to suit vegan passengers. On the first night, I had the cheese omitted to make the vegetarian starter dish vegan. The Windjammer buffet (lunch & dinner) has a selection of vegetarian options including stir fry and pasta stations, vegetarian curry…and an extensive salad bar, naturally. At breakfast, the Windjammer buffet serves bread, beans, mushrooms etc with a selection of fruit, soy milk and JusRoll cinnamon swirls. My dessert for the week! Porridge was made with water so that was my breakfast choice, every day. No dairy-free spread on Royal either, so you either have to use fruit or jam. Unfortunately, the vegan desserts served onboard have been either fruit, fruit salad or sorbet. Nothing like what Princess served us two months later. I have written a separate post titled “Vegan food on MSC Splendida” about my three-nighter taster cruise. I found the buffet great, with lots of options but the main dining room did not impress so much. But on the basis of the ship, the service and the staff I would definitely sail with them again – even if it meant having to dine in the buffet on all nights. Cruising as a vegan on a ship full of omnivores can be a challenge with the abundance of food on display. Dining experiences vary even on different ships of the same company, as I discovered on my two Royal Caribbean sailings. But, I was always fed, didn’t go hungry and had a great time regardless both on and off the ships. 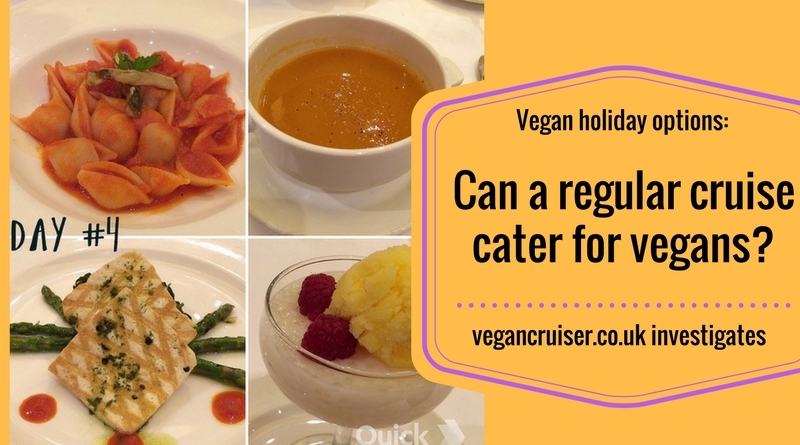 I am convinced other vegans can have successful sailings on these ‘regular’ cruises too – for many it may be the only kind they can take to accommodate those they travel with. If you have any questions on any cruises that I have taken and dined vegan, do ask. 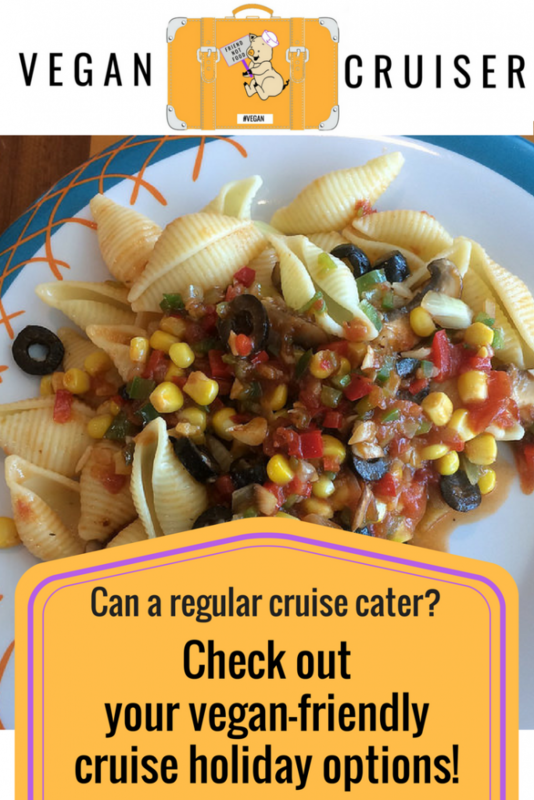 If you have any cruise questions otherwise, do ask too – have sailed on more ships as omnivore than as a vegan. The latter three are the cruiselines I have had the pleasure to cruise with since becoming vegan. The former four more I am looking forward to sailing with, hopefully sometime in the future. Not this summer though, as we are trying a Thomson cruise (UK holiday company, part of the German TUI group). They have a ‘new’ ship TUI Discovery 2 and an in itinerary/ports of call we have not sailed with anyone else. Hoping they’re as vegan savvy as P&O are – it remains to be seen. I shall be reporting as soon as we’re onboard. If you have any questions on any cruises that I have taken and dined vegan, do ask. If you have any cruise questions otherwise, do ask too – happy to help! Ships, ports, excursions..could even write a blog post on any cruise subject you request. All content provided on this post is in good faith and for informational purposes only. The owner of this blog makes no representations as to the completeness, accuracy or reliability of any information on this site or found by following any link included in this post. Oceania Cruises’ vegan menu now bigger & better! This series of posts is fascinating me. It’s so great to get a real persons view of things. I do wish that they would give a menu though as I personally find it quite draining having to ‘liaise’ with staff! The ‘liaising’ bit is not too hard though. Normally they can do veggie soups vegan by putting some aside before adding cream for the rest. Many vegetarian dishes can be veganised. If not, staff usually have a few menu suggestions or ask if anything else from the menu can be combined. And sometimes the veggie option is accidentally vegan  Hurrah! Oh my, I am so sorry to hear that! I have heard great feedback from others and seen pictures too of fabulous & varied vegan dishes (seitan, even tempeh!) and some desserts incl. vegan afternoon tea. Veganolive1 blog has lots from her cruises with P&O too and she hasn’t struggled. Can you tell me which ship this was? There seems to be much variety in the service quality. Did you have a meeting with the maitre ‘d to discuss your dietary need? And did you pre-order your vegan meals the night before and they still got it so wrong? I suppose this is why some vegans sail with Oceania and Costa (with vegan 3-course menus, incl. desserts) or the vegan-only charter holidays.